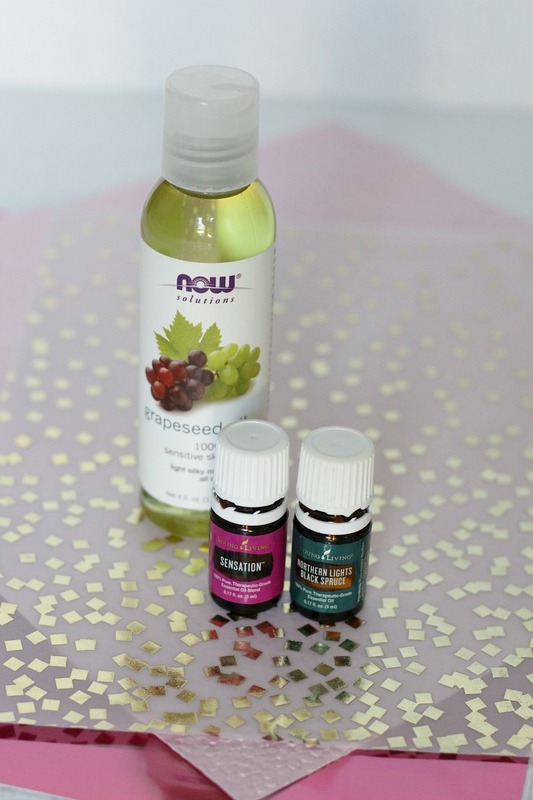 Make your own massage oil blend for your Valentine! From the earliest days of my husband and I dating, I've been big into making him gifts for "holidays" like Valentine's Day, Father's Day and any other day that might remotely be sentimental. For a while, I wasn't even sure if he liked such gifts! I just had fun making them. Then we moved into our current house, and he's decorated his office with every single gift I've ever made - so, win win for us! I can get crafty and he can decorate his office. One thing that won't be decking the halls, so to speak, is this DIY Valentine's Day gift. Nope. We'll be keeping this massage oil back in the bedroom. 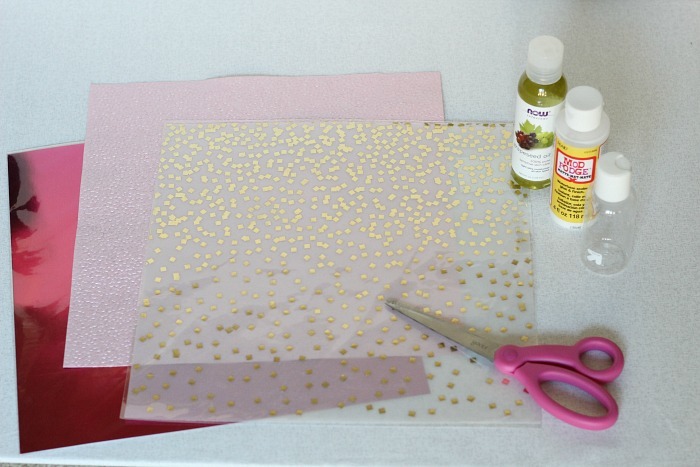 First, cut the flexible decorative paper in a strip long enough to just go around your bottle once. 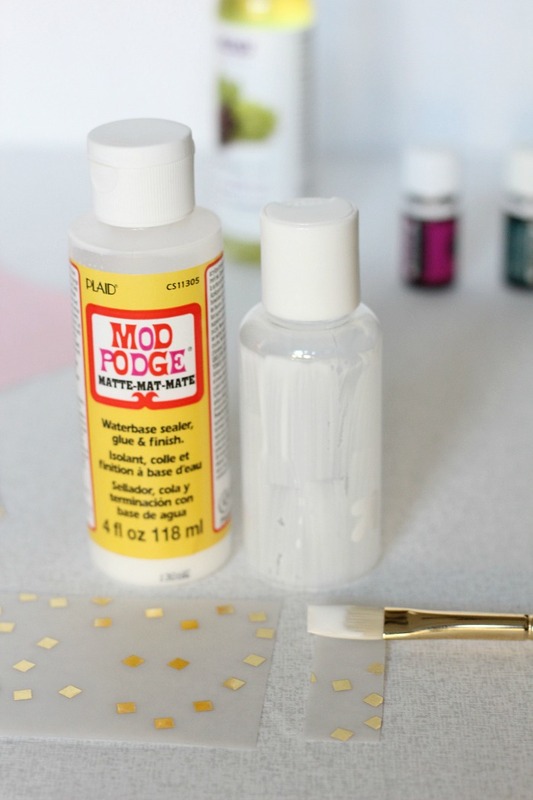 Use the paintbrush to coat the bottle in glue. Wrap the strip of decorative paper around the glued bottle and run your fingers over the paper to squeeze out any air bubbles. On the seam of the paper, paint another layer of Mod Podge over the decorative paper. 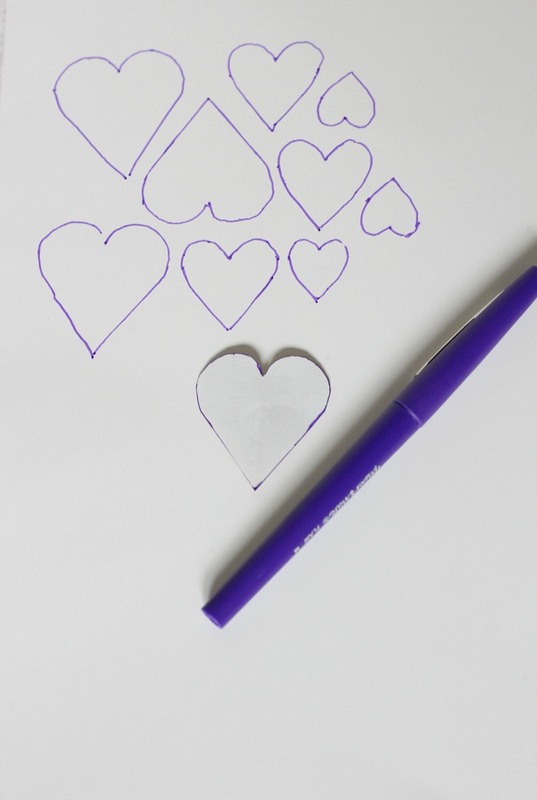 Next, use a piece of printer paper or junk mail to cut out heart templates for your card stock. On the back of the thicker decorative paper, trace the hearts. Use the scissors to cut them out. 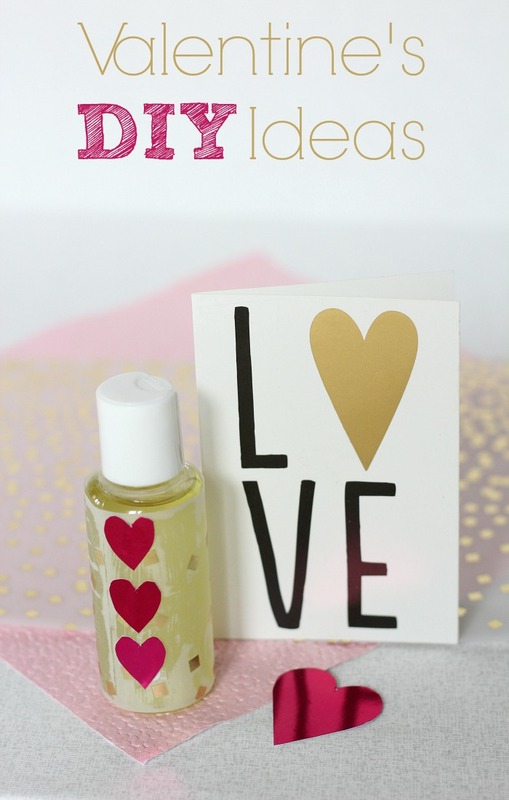 Once the glue on the bottle is dry, add hearts to further decorate your bottle of massage oil. Let the bottle dry over night so that the glue is good and dry before you handle the bottle. 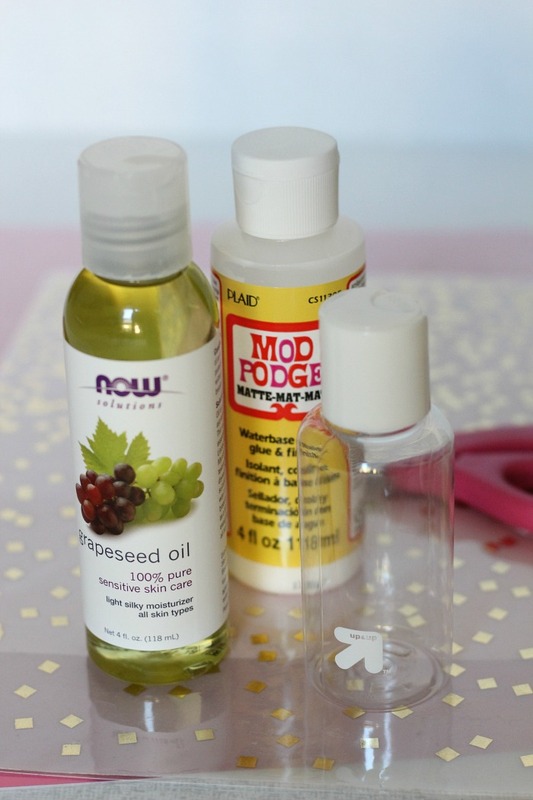 Once it's set, pour your carrier oil of choice into your decorated bottle. Add the drops of essential oil. I chose Sensations because it's a Young Living blend formulated to stimulate women's senses and, ahem! Their sexuality. The Black Spruce is a masculine scent and balances the feminine scent of Sensations. It's a combo I would have never thought would go together, but I learned about it at an oil class and it's probably my favorite smell to date. And there you have it! 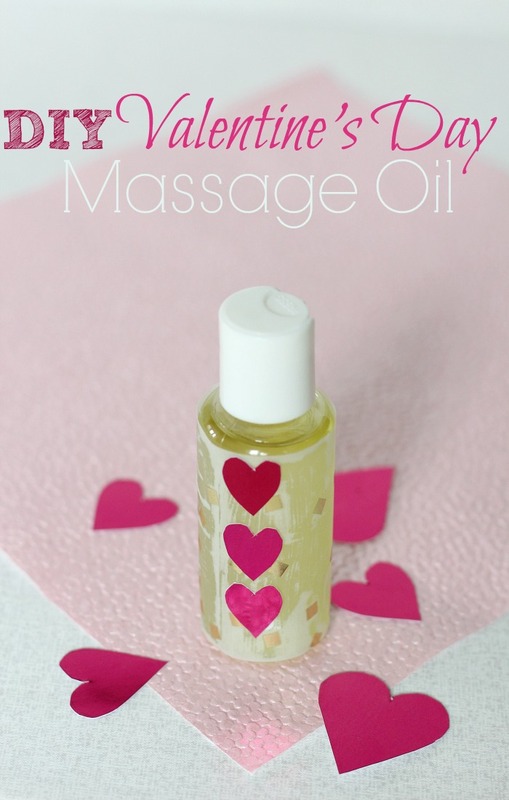 A fun, fairly easy DIY Valentine's Day gift that brings you and your partner together through massage. Happy Valentine's Day! Paige, this is so cute! I love that you make your husband gifts for every holiday! I love the little hearts and how how made the regular clear bottle so darling! Going to have to make some for myself! I'm with Annie. I love that you make him gifts for holidays. I love a good massage oil. And you chose two great oils to use in this one. I am allergic to Pine. What else could I use in place of the pine? I would like to suggest you that please keep on sharing such type of information with us. I really found it to much informative. It is what i was searching from many days. Well job and thanks for sharing.Thanks for sharing This is such a great resource that you are providing and you give it away for free. 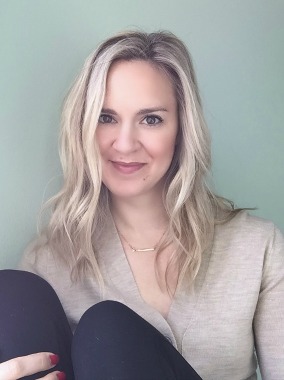 I love seeing blog that understand the value of providing a quality information for free.I read lots of blogs about the best essay writing service but honestly speaking I found your blog very interesting and informative.